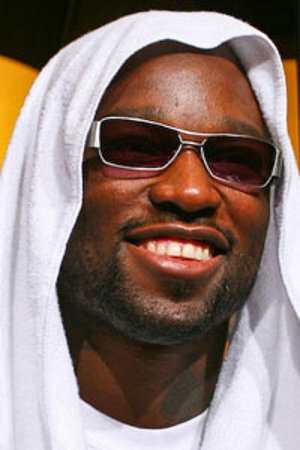 Former Strikeforce light heavyweight champion Muhammed “King Mo” Lawal might be forced to take the wayside for nine months. He "will undergo knee surgery to replace both his anterior and posterior cruciate ligaments in his left knee," according to his manager Ryan Parsons. Lawal just came fresh from a title defeat to Rafael “Feijiao” Cavalcante at Strikeforce: Houston on Saturday after the former contender downed the collegiate wrestling champ with a series of knee strikes and a right hand. The present light-heavyweight champ forced out a third-round referee stoppage afterwards. That is where Lawal abruptly stopped for the scorecards, as he is used to topping those. It was in the same brawl that Lawal incurred his injury. His surgery will take place next Tuesday in Los Angeles. After an examination by a physician last Monday, Parson spoke the news, “Mo wanted to take one more fight, but we decided that this injury should be attended to first.” This is not the first time the 29-year-old former champ will undergo surgery. He also went through an ACL surgery after injuring his ligament in the first round of March 2009’s Sengoku “Seventh Battle”.